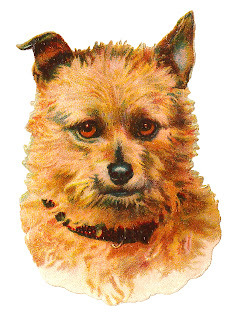 Today I've posted a wonderful vintage dog clip art download created from a Victorian die cut paper scrap. This is a beautifully detailed dog breed portrait of an Australian Terrier. Animal artwork created in the Victorian Era always has a wild quality. Of course, dog breeds evolve over time, but what's unique about Victorian Art is that dogs and cats were depicted with natural and wild appearances. 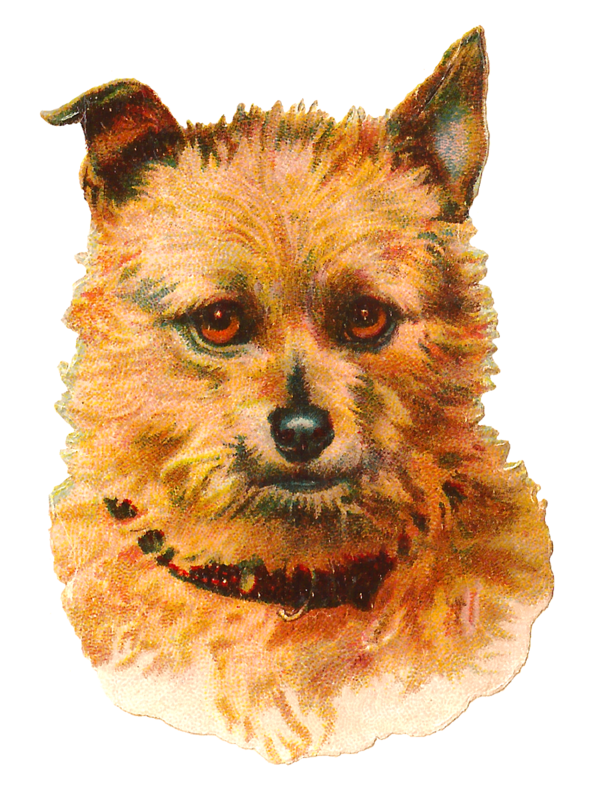 This digital terrier dog clip art is perfect for a project celebrating the Australian Terrier.